The name of this Kukri is the imitation of a South African knife used for cutting dry meat therefore, the name. Initially, Khukuri House Thamel was the first company to name this small size to Biltong kukri as the dealer from Africa ordered huge amount to be used as dry meat cutters. It became so famous that this house started producing for its visiting customers. 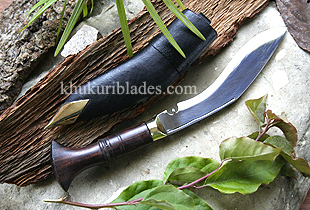 It is also known as pocket Kukri for its perfect size and can be very handy while camping and trekking.